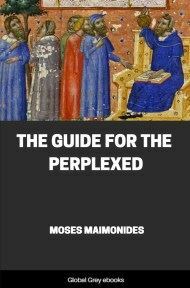 The Guide For The Perplexed consists of three books. 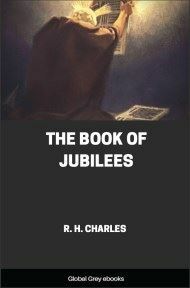 The first book deals with the nature of God, concluding that God cannot be described in positive terms. The second book examines natural philosophy, particularly Aristotle's system of concentric spheres, and theories of the creation and duration of the universe, and the theory of angels and prophecy. In the last Book, he expounds the mystical Merkabah section of Ezekiel, skirting the traditional prohibition of direct explanation of this passage. After this he covers the 613 laws of the Pentateuch, organized into 14 branches, attempting to present rational explanations for each law. Throughout, Maimonides stresses that the student needs to consider all theories. "After the death of Hezekiah, the head of the Academy and Prince of the Exile, the academies were closed and no new Geonim were appointed. But long before that time Heaven had willed that there should be a discontinuance of the pecuniary gifts which used to be sent from Palestine, North Africa and Europe. Heaven had also decreed that a ship sailing from Bari should be captured by Ibn Romahis, commander of the naval forces of Abd-er-rahman al-nasr. Four distinguished Rabbis were thus made prisoners--Rabbi Ḥushiel, father of Rabbi Ḥananel, Rabbi Moses, father of Rabbi Ḥanok, Rabbi Shemarjahu, son of Rabbi Elḥanan, and a fourth whose name has not been recorded. They were engaged in a mission to collect subsidies in aid of the Academy in Sura. 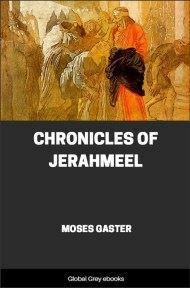 The captor sold them as slaves; Rabbi Ḥushiel was carried to Kairuan, R. Shemarjahu was left in Alexandria, and R. Moses was brought to Cordova. These slaves were ransomed by their brethren and were soon placed in important positions. When Rabbi Moses was brought to Cordova, it was supposed that he was uneducated. In that city there was a synagogue known at that time by the name of Keneset ha-midrash, and Rabbi Nathan, renowned for his great piety, was the head of the congregation. The members of the community used to hold meetings at which the Talmud was read and discussed. One day when Rabbi Nathan was expounding the Talmud and was unable to give a satisfactory explanation of the passage under discussion, Rabbi Moses promptly removed the difficulty and at the same time answered several questions which were submitted to him. Thereupon R. Nathan thus addressed the assembly:--'I am no longer your leader; that stranger in sackcloth shall henceforth be my teacher, and you shall appoint him to be your chief.' The admiral, on hearing of the high attainments of his prisoner, desired to revoke the sale, but the king would not permit this retraction, being pleased to learn that his Jewish subjects were no longer dependent for their religious instruction on the schools in the East. Henceforth the schools in the West asserted their independence, and even surpassed the parent institutions. The Caliphs, mostly opulent, gave every encouragement to philosophy and poetry; and, being generally liberal in sentiment, they entertained kindly feelings towards their Jewish subjects. These were allowed to compete for the acquisition of wealth and honour on equal terms with their Mohammedan fellow-citizens. 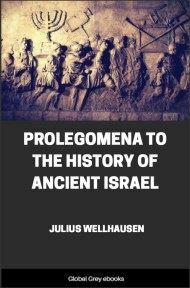 Philosophy and poetry were consequently cultivated by the Jews with the same zest as by the Arabs. Ibn Gabirol, Ibn Ḥasdai, Judah ha-levi, Ḥananel, Alfasi, the Ibn Ezras, and others who flourished in that period were the ornament of their age, and the pride of the Jews at all times. The same favourable condition was maintained during the reign of the Omeyades; but when the Moravides and the Almohades came into power, the horizon darkened once more, and misfortunes threatened to destroy the fruit of several centuries. Amidst this gloom there appeared a brilliant luminary which sent forth rays of light and comfort: this was Moses Maimonides. Moses, the son of Maimon, was born at Cordova, on the 14th of Nisan, 4895 (March 30, 1135). Although the date of his birth has been recorded with the utmost accuracy, no trustworthy notice has been preserved concerning the early period of his life. But his entire career is a proof that he did not pass his youth in idleness; his education must have been in harmony with the hope of his parents, that one day he would, like his father and forefathers, hold the honourable office of Dayyan or Rabbi, and distinguish himself in theological learning. It is probable that the Bible and the Talmud formed the chief subjects of his study; but he unquestionably made the best use of the opportunities which Mohammedan Spain, and especially Cordova, afforded him for the acquisition of general knowledge. It is not mentioned in any of his writings who were his teachers; his father, as it seems, was his principal guide and instructor in many branches of knowledge. 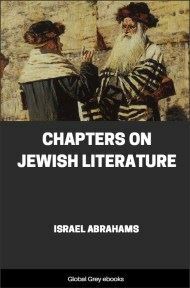 David Conforte, in his historical work, Ḳore ha-dorot, states that Maimonides was the pupil of two eminent men, namely, Rabbi Joseph Ibn Migash and Ibn Roshd (Averroes); that by the former he was instructed in the Talmud, and by the latter in philosophy. This statement seems to be erroneous, as Maimonides was only a child at the time when Rabbi Joseph died, and already far advanced in years when he became acquainted with the writings of Ibn Roshd. The origin of this mistake, as regards Rabbi Joseph, can easily be traced. Maimonides in his Mishneh Tora, employs, in reference to R. Isaac Alfasi and R. Joseph, the expression "my teachers" (rabbotai), and this expression, by which he merely describes his indebtedness to their writings, has been taken in its literal meaning. Whoever his teachers may have been, it is evident that he was well prepared by them for his future mission. At the age of twenty-three he entered upon his literary career with a treatise on the Jewish Calendar. It is unknown where this work was composed, whether in Spain or in Africa. The author merely states that he wrote it at the request of a friend, whom he, however, leaves unnamed. The subject was generally considered to be very abstruse, and to involve a thorough knowledge of mathematics. 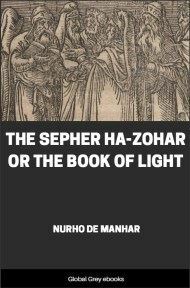 Maimonides must, therefore, even at this early period, have been regarded as a profound scholar by those who knew him. The treatise is of an elementary character.--It was probably about the same time that he wrote, in Arabic, an explanation of Logical terms, Millot higgayon, which Moses Ibn Tibbon translated into Hebrew.